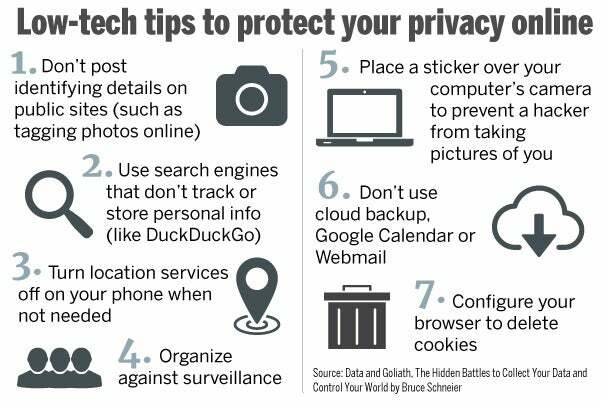 Cybersecurity expert and Berkman Klein fellow Bruce Schneier talked to the Gazette about what consumers can do to protect themselves from government and corporate surveillance. SCHNEIER: I have come to the conclusion that email is fundamentally unsecurable. If I want to have a secure online conversation, I use an encrypted chat application like Signal. By and large, email security is out of our control. For example, I don’t use Gmail because I don’t want Google having all my email. But last time I checked, Google has half of my email because you all use Gmail.